Jeffrey Lewis’ best-known work, Meritocracy: A Love Story (2004), kicks off in a metallic blue F-85 Cutlass convertible, tooling up Maine’s craggy coastline somewhere north of Bucksport in a late-summer weekend in 1966. If the Ivy League bluebloods assembled therein don’t seem immediately relatable, Lewis’ Nick Carraway-like narrator, reporting uneasily from the periphery of the scene, draws readers immediately into their intimate social milieu and the drama that ensues. The novel begins a four-part cycle later dubbed The Meritocracy Quartet that spans four decades and aims to chronicle not just the arc of the characters but the country over that time. Lewis’ new book, Bealport: A Novel of a Town, begins in a beat-up, souped-up Lincoln in a small-town demolition derby in 2006. True to its title, Bealport sets out to accomplish the more narrowly ambitious goal of documenting the last pre-post-industrial days of a dying Maine factory town. Bealport’s annual demolition derby, a wildly popular local event, provides a welcome distraction from the rapid decline of the Norumbega shoe factory, whose 103-year reputation for producing high-quality footwear has traditionally supplied the lion’s share of employment in the town (and now boasts “the last shoes made in Maine”). At the derby, readers meet its perennial champion, Gary Hutchins, and shortly thereafter his estranged, ne’er-do-well brother Billy, recently returned from the west coast, as well as their father Earl, whose advancing alcoholism threatens not only his employment at the factory but his generally accepted role as primary keeper of Norumbega’s practical institutional memory. Bealport’s early chapters acquaint readers with various other local residents and institutions, from Big Jim’s Surplus & Salvage (“You couldn’t go any lower and still be in retail”) to the breakfast hour gathering at the local McDonald’s where denizens debate the town’s most important topics each day. These chapters also establish the key geographical distinction between the industrial and blue-collar residential zones of Bealport and the section known as the Island, home to elegant vacation getaways of wealthy seasonal visitors from elsewhere in the Northeast. During his first visit to Big Jim’s—“a voyage of discovery, into a terrain of happy indifference”—islander Roger Keysinger, a senior partner in a Greenwich, Connecticut, private equity firm, picks up his first pair of Norumbega shoes. He likes them so much that he makes a quick and ill-considered decision to buy the company, touching off the brief, doomed, final act in Norumbega’s century-long saga as a going concern. From the outset, Meritocracy has a tighter frame of reference than Bealport, quickly zooming in on the desires, stored-up conflicts, social hierarchy, and idiosyncratic interplay of its small set of characters. Bealport, by contrast, delivers a series of vividly rendered sketches of the novel’s sizable cast that seem as loosely affiliated as, say, the turn-of-the-20th-century coastal Maine stories in Sarah Orne Jewett’s Country of the Pointed Firs, until they coalesce in the later stages of the book. 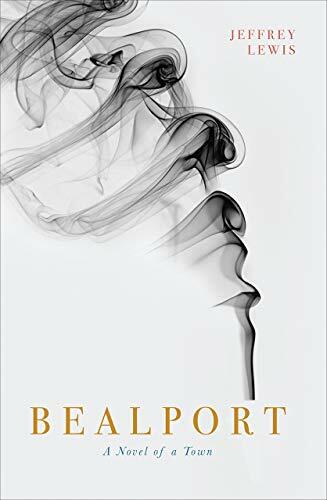 In some respects, Bealport, in its portrayal of down-on-their-luck small-town Americans in the throes of late- and post-industrial malaise, reads a bit like the early Mohawk novels of Richard Russo, albeit without the unceasing gut-busting dialogue. Dialogue is quite scarce in Bealport, and outside the McDonald’s Breakfast Hour interludes, Lewis keeps his narrative and dialogue distinct, formatting his characters’ spoken lines like a movie script. Likewise, Jeffrey Lewis isn’t the first novelist to prove that you can wrest compelling, strange, funny, and surprising character-driven fiction out of town-crushing industrial demise. But he is, without question, the most recent writer to do it well.